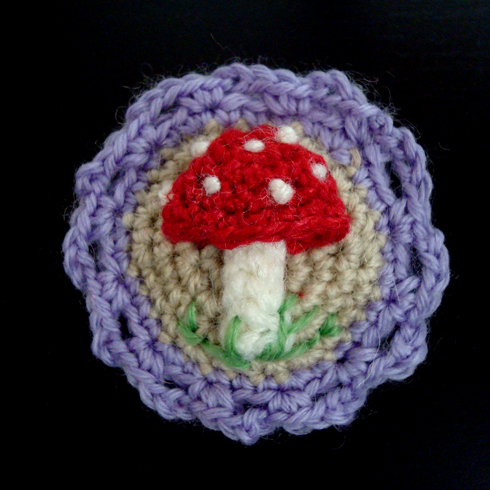 I followed this pattern for the round base, but made up my own mushroom. 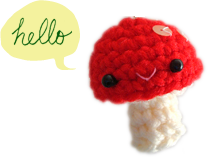 The cap is a cup shape folded in half, and the stem is 2 rows of slip stitches. The whites spots are made of french knots, and the grass is embroidered. 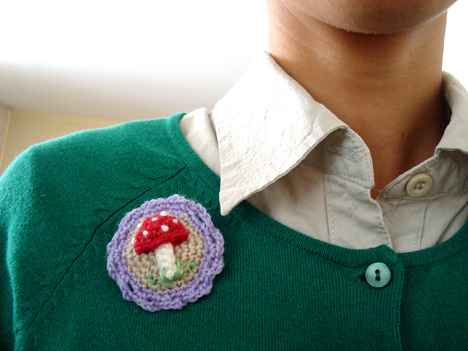 Sewed a pin back on.